Description : Box want you to sleep soundly at night, knowing that no matter what happens to your computer, your files will always be safe. Box want you to be able to travel across the globe on a whim without having to worry about taking cumbersome storage devices with you. 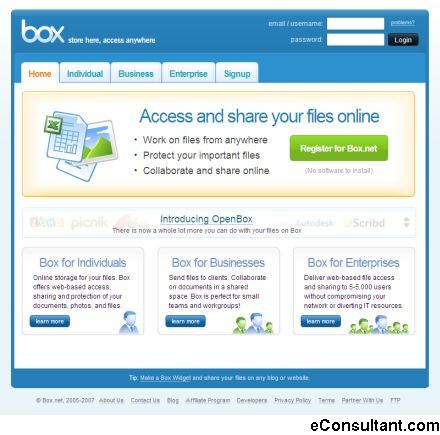 Box want you to be able to easily and instantly share files that are important to you with others who feel the same way. And Box don’t want you to have to rack your brain or break the bank to do so. So you can lose the disk. You’ll be glad you did.